1.1 Clear-span width: from 3m to 40m is fine. 1.2 Length: could be any length, +times of 3m or 5m. 2.1 Frame materials: Hard pressed extruded aluminum 6005/T5 (15HW), which can be last more than 15 years. 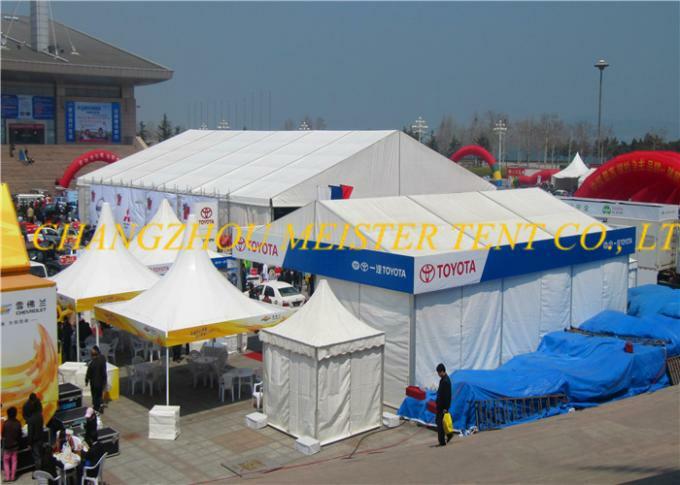 2.2 Fabric cover: High quality double PVC-coated polyester textile, 100% waterproof, flame retardant to DIN4102 B1,M2, CFM, UV retardant, tear resistant, self-cleaning ablity. 2.3 Connector: strong hot-dip galvanized steel. 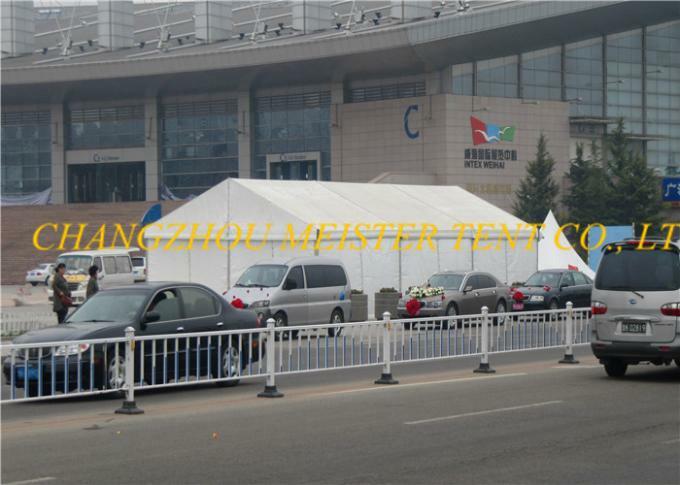 3.1 Allowed temperature condition: -30 degree Celsius ~ +70 degree Celsius. 3.2 Wind loa: max. 100km/h (can be reinforced). 3.3 Snow load: 75kg/sqm (snow can't stay if use big degree roof pitch design). 3.4 Easy to be assembled and dismantled, movable. 3.5 No pole inside, 100% room is available. 3.6 Size can be customzied. 4.1 Cover: Colourful cover, transparent cover. 4.2 Window: clear PVC window, glass window for glass wall. 4.3 Wooden flooring system: VIP csssette flooring, simple cassette flooring, ect. 4.4 Doors: Double-wing glass door, single-wing glass door, glass fire door, hard PVC door. 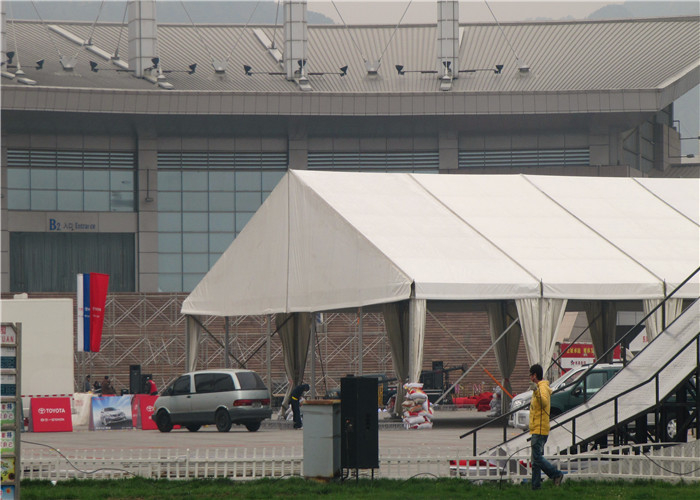 4.5 Sidewall: PVC fabric wall, glass wall, ABS solid wall, sandwich pannel wall. 4.6 Fixing methods: Ground anchors, weight plate, expandable bolts. 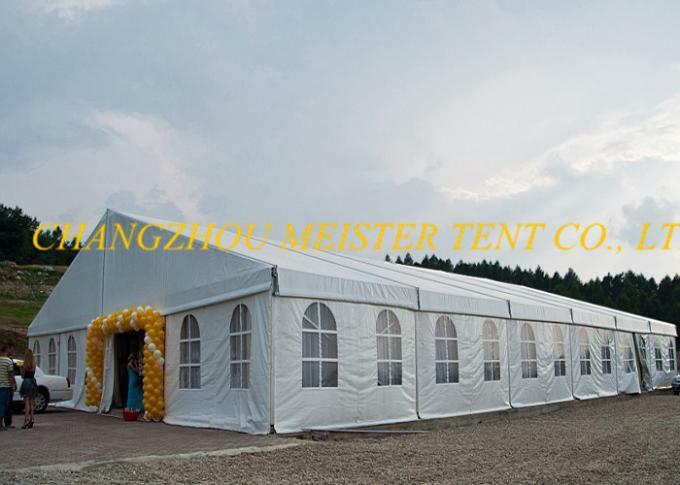 4.7 Rain gutters (inner roof beam rain gutter or rain gutter between two similar tents). 4.8 Additional items: Foldable table, chair, lighting, AC, carpet, ect.